The Raila Odinga-led ODM party has questioned the high-profile arrest of Deputy Chief Justice Philomena Mwilu saying due process was not followed. In a statement on Tuesday, the party said although it fully supports the government’s efforts to fight corruption, there was an element of foul play in the arrest of the DCJ. 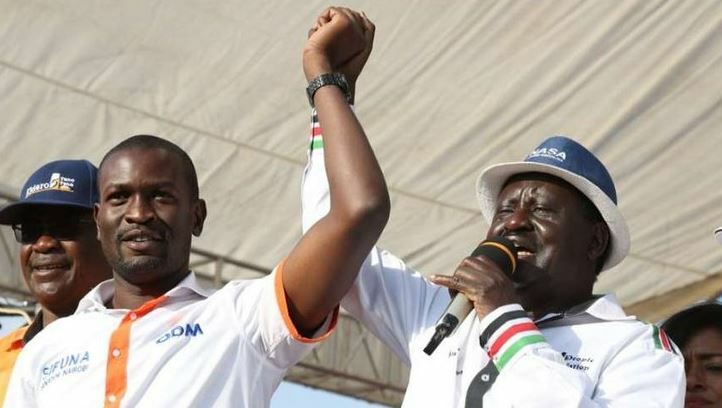 ODM secretary general Edwin Sifuna said the party wishes to remind DPP Noordin Haji not to open his office to manipulation especially by state and non-state actors. Read ODM’s full statement on Justice Philomena’s arrest below. The Orange Democratic Movement (ODM) was founded on the recognition of individual freedoms, social justice and the rule of law. We honor fallen heroes who fought for the liberation of this country, and we seek to defend the supremacy of the Constitution of the Republic of Kenya. Our attention has been drawn to the arrest, and subsequent arraignment in court, of the Deputy Chief Justice Hon. Philomena Mwilu. We applaud the government for its newfound dedication to the fight against corruption in all forms, and we reiterate the Party’s commitment towards this front. We, however, are constrained to point out from the onset that this fight will only succeed if anchored totally on the rule of law, adherence to the letter and spirit of the Constitution, and grounded on basic human dignity. Article 157 (11) of the Constitution requires the Director Public Prosecutions to carry out his duties in a manner that holds high regard for public interest, the interest of the administration of justice while guarding against the abuse of the legal process. This provision enjoins the DPP to satisfy himself as to the propriety of bringing charges in any case and not to be but a conveyor belt for everything that is placed in his hands. In the matter of the DCJ Justice Mwilu, it is difficult not to be concerned about whether the DPP applied his mind to the requirements of Article 157(11) especially in light of Kenya’s recent History. It is to be remembered that at the height of the fight for electoral justice the Judiciary came under sharp criticism with the Jubilee side promising to “revisit” what they called “problems” within the Judiciary following the annulment of the Presidential vote by the Supreme Court. We want to give the DPP the benefit of doubt but the signs are troubling. The office of DCJ is a high level constitutional office and like other Judicial offices has an elaborate mechanism for enforcing discipline. Indeed cases of alleged criminal conduct involving judicial officers have in the past been processed through the JSC in the first instance. This was the case with the allegations of bribery against Justice Tunoi and alleged assault against former DCJ Nancy Baraza. The reasoning is simple really, to save the image of the institution by first cutting links with the accused person before taking them through the criminal trial process. One wonders why was this was not an option in the present case. We have taken note of the spirited will with which the new Director of Public Prosecutions Noordin Haji has taken to his job. We commend him for his energy and dedication, we support him in whichever way he may need our help. However, the Party wishes to remind him not to open his office to manipulation especially by state and non-state actors. This is especially so when the charges he brings appear openly frivolous, lacking in substance, and reeking of political witch-hunt. The long winding statement he gave justifying his action against the DCJ did not inspire much confidence. He must now speedily conclude this prosecution remembering always that Kenyans shall not forgive him should this turn out to be a politically instigated witch hunt.